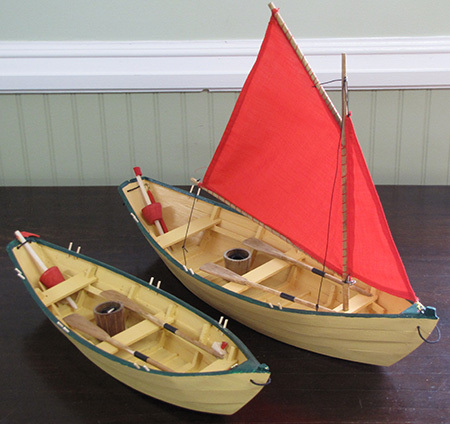 A good friend makes these model fishing dories and boy, does he like his details! They are available in three sizes - .15½" long, 19" long and 37" long. The two smaller sizes come with a set of oars, tholepins and a teensy tiny bailer; the larger size just comes with the tholepins. Prices are $80, $100 and $120 plus tax & shipping each.